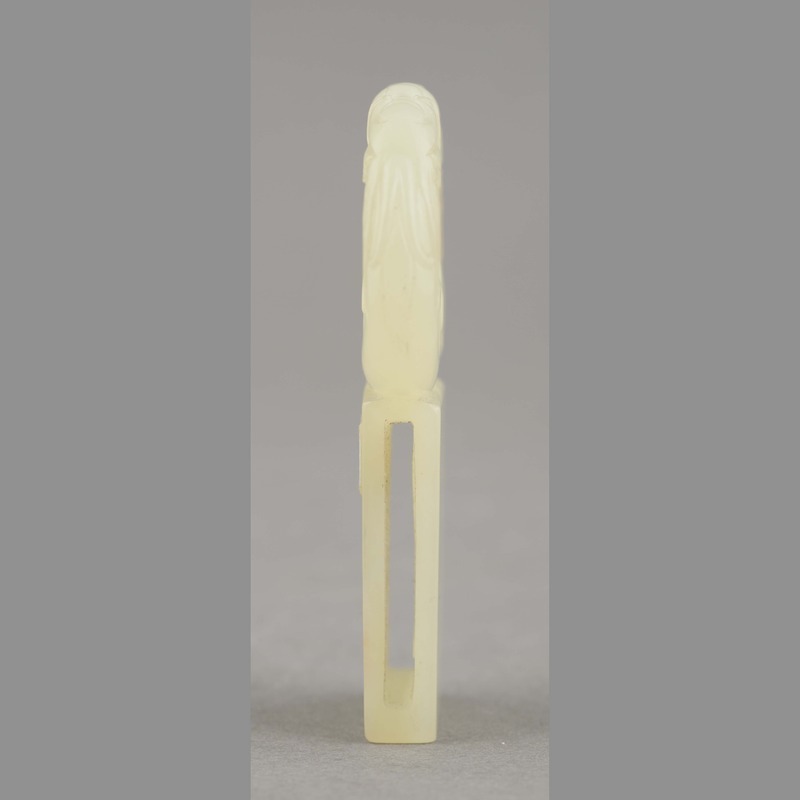 One yellow-white jade sui. 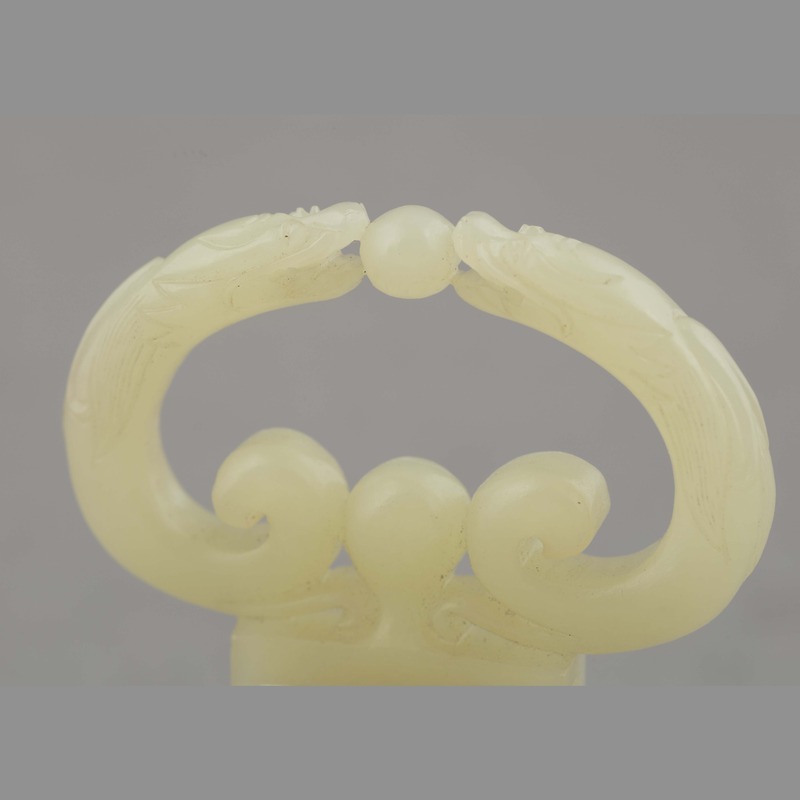 Upper part of object defines a double spiral comprising two symmetrically opposed serpentine carved dragons the heads and open mouths of which meet either side of a small suspended sphere. 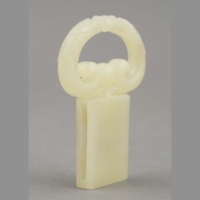 Lower part of object fashioned into a plain thin rectangular tile with a slot running through its narrow section. 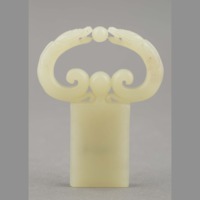 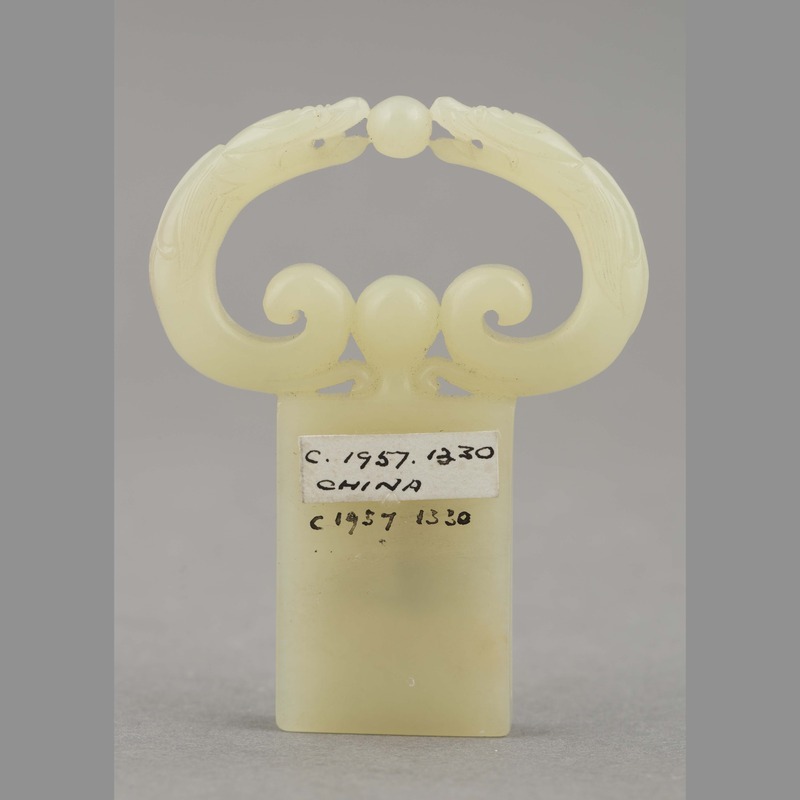 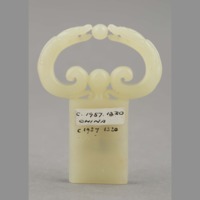 “Jade: sui,” China, Art and Cultural Diplomacy, accessed April 22, 2019, http://rewialleyart.nz/items/show/1081.